Firstly, I would like to thank lovereading.co.uk for sending me this book to review! I know you shouldn’t judge a book by its cover, but the cover of this book is so very beautiful, I knew I had to have it in my hands ASAP. 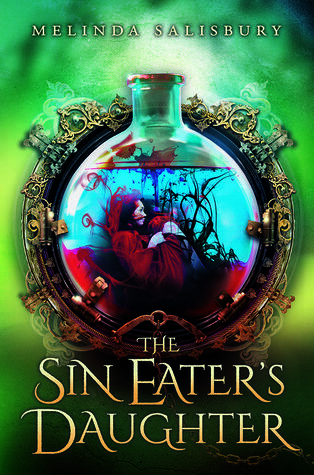 Then, when I finished drooling over the gorgeous cover art, I read the synopsis and almost cried. IT SEEMED LIKE THE PERFECT BOOK FOR ME. Set in a castle, a beautiful prince, a gorgeous new guard (who are both worth swooning over), and a dark fairy-tale storyline that, if you are anything like me, will send you running off a cliff because THE FEELS. The storyline was so beautifully plotted, Salisbury really knows how to manipulate her reader into believing everything she wants them to. This review is spoiler free, but there is a part in the book that throws you completely off guard… And now, as a result I have serious trust issues and I’m an emotionally unstable wreck. I think this is a good time in the review to admit that I screamed “I TRUSTED YOU!” while throwing the book across my room because, yes, I get emotionally attached to fictional characters. Which moves me swiftly on to my next topic: the characters. Twylla was a wonderful main character and I felt she really grew as a person throughout the book. Her whole life was planned out before her; betrothed to the prince, an executioner of the court, but it was lovely to see her take her life into her own hands. Now onto Twylla’s love interests. Intelligent and powerful Prince Merek who Twylla is due to marry, and Lief, Twylla’s brave and mysterious new guard. Twylla really is spoiled for choice. It’s alright for some! But, like every Fantasy book, there is a need for an evil villain. In this case, the role is played by The Queen, who will do anything, and I mean ANYTHING to get her way. I know she’s evil, but she was an amazing character so I ended up having that love/hate relationship with her. Overall, this book was absolutely incredible and I enjoyed reading it so much! The ending has left me eager for the next book in the series, and I am almost definite this series will turn out to be one of my favourites! I am so excited for this release, and come March when the book hits the shelves, I would recommend you to pick one up! Thank you so very much for reading the review and I hope you liked it. On a little side note, Ayesha and I would like to wish you all a very Merry Christmas and a wonderful New Year!! “Cody and Meg were inseparable. 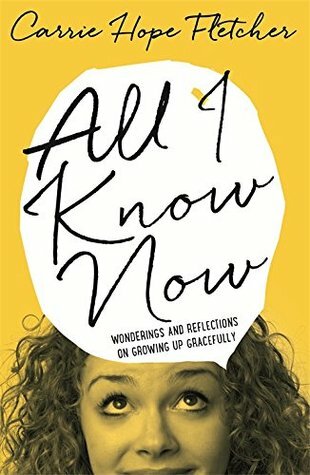 When I heard I had the opportunity to review this book for lovereading.co.uk I jumped at the chance! 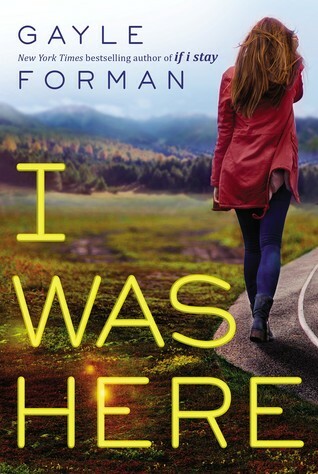 I Was Here has been one of my highly anticipated releases of 2015, and I would like to thank LoveReading for giving me the opportunity to read it! “I Was Here” follows a story about suicide, a delicate topic that is prudent in today’s society. Gayle Forman does this storyline justice by creating a beautiful story that will stay with me for a long time. I found that it was very easy to get into and I couldn’t put down the book, leading me to finish it within a couple of days. Everything about the story made me think; the characters were very realistic, and the setting was one I could relate to, a small town girl moving to a college in a big city. The emotional scenes stood out especially, Gayle Forman’s writing always seems to shine in the most heart-felt scenes. I have to say, I did shed a tear more than once while reading this novel. Another reason I loved this book was because of the main character, Cody. Her character was easy to relate to and I loved her relationships with other characters, for example Meg’s family (Meg’s brother, Scottie especially). Her character was very relatable and I thought Gayle Forman expressed her grief extremely well. There is no other way of describing this novel other than beautiful. The only reason I didn’t give this book 5 stars is because at times I felt the love story took over the real message at times, especially towards the end. I would have liked to have seen less focus on the love story, and more on the strengths of the storyline. Also I would have liked Gayle Forman to venture out and write with completely different characters to those she had written with before. The “confident rock star” and the “innocent, shy girl” characters felt all too familiar from Gayle Forman’s other book “If I Stay”. Other than that, I loved this book and would definitely recommend it to anyone! All the hype leading up to the release date is totally worth it! I can’t wait for it to be released so we can all talk about how much we loved it!!!!!! Publication Date: 27th January 2015 – Holocaust Memorial Day and the 70th anniversary of the liberation of Auschwitz-Birkenau. My name is Hanna Michelson. I am fifteen. I am Latvian. I live with my mother and grandmother. My father is missing – taken by the Russians. I have a boyfriend. When he holds my hand, everything feels perfect. I’m training to be a dancer. But none of that matters now. Because the Nazis have arrived, and I am a Jew. And as far as they are concerned, that is all that matters. I was sent this book by lovereading.co.uk and I am so very grateful, so thank you! As a fan of Markus Zusak’s “The Book Thief” I was so excited when I heard about this book, due to be published in January 2015. Based on a true story, the book follows Hanna, a Latvian Jew, whose life changed dramatically when the Nazi’s invaded Latvia. The story retells the forgotten tale of the Jews of Riga, and will fascinate you in this heart-breaking story. I have to admit, the book was one of two halves for me. The first 100 pages were a struggle, as I found the book really hard to get into. The language was quite basic, and it took me quite a while to get used to. Nonetheless, I decided to keep reading anyway and oh, how I am so glad I did… The second half of the book was just phenomenal, I couldn’t put it down. The book is full of so many twists of events, you won’t be able to turn the pages fast enough! The character progression was amazing. I started off not really having an opinion on Hanna at the start of the book, to loving and respecting her towards the end. Omama and Uncle Georgs were two characters that I found myself loving so very much. The story is quite emotional and deep, but Omama’s crazy words lifted the mood and added humour when needed, which was really lovely to read. And, in the midst of the Nazi horror, the kindness of Uncle Georgs was a refreshing hope in humanity. The book was very emotional, and I found myself in tears more times than one. The story really got to me, and I think that was because of the fact that horrible things like the holocaust did actually happen in the past. It was scary to think this story was only partly fiction. I am studying Nazi Germany in school, but seeing the Nazi era from a Jew’s perspective opened my eyes to the true horrors of the holocaust, and I thought the storyline did it justice. Overall, I would recommend everyone to read this book, and I am so excited for its release in January! I hope you enjoyed reading my review. Tag Tuesday: Five Trilogies We Haven’t (but need to) Read. As it’s getting closer to Christmas, Monisah and I have been making a list of all the books that we haven’t had a chance to read this year. While we were writing our list, we realised just how many trilogies we haven’t read yet. So I decided to create a little “tag”: Five Trilogies We Haven’t (but need to) Read! This trilogy is made up of the books The Maze Runner, The Scorch Trials and The Death Cure. 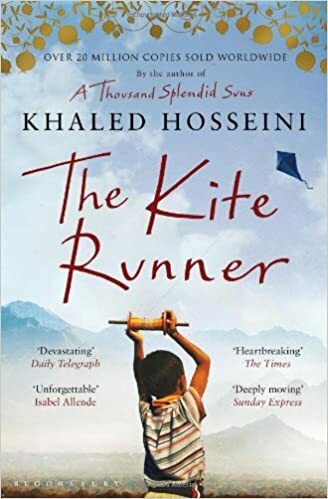 I had hopes to read the first book before the movie was released in the cinema, however unfortunately it didn’t manage to reach the top of my TBR. So I ended up walking into the cinema, and watching the first film without reading the book (oops!). Nevertheless, I would still LOVE to read this trilogy as I’ve heard mixed reviews on the books so far. Some people loved the series and others didn’t, which makes me even more eager to pick up the books and make my own decision on them! I don’t really know whether this series is classed as a trilogy or a pentalogy (but I added it in this tag anyways!). For anyone who doesn’t know about the Lux Series, it was originally five books; Obsidian, Onyx, Opal, Origin, and Opposition. However, recently the five books have been converted into three (with the new stunning covers!). This series has been RAVED about all over BookTube and Book Blogs and I seriously cannot wait to get my hand on them and start reading! These three books are of the genre Contemporary Romance. Each book, Anna and the French Kiss, Lola and the Boy Next Door, and Isla and the Happily Ever After, follow three different characters and three different love stories set in some of the most iconic cities of the world. These books have been described as “hilarious”, “adorable” and “with a setting you can’t resist”. I know if I read any series in the New Year it has to be this one (especially now with the gorgeous new covers!). The first book of this series made its debut in 2011, and the last book was released earlier this year. Like The Maze Runner series I have heard mixed reviews on these set of books. These books just sound like the perfect fantasy read, with supernatural creatures and an exciting storyline-what’s not to love! I am very intrigued by the plot and I just want to start reading this trilogy! This last trilogy also made its debut in 2011, and I still haven’t got round to reading it. This is definitely one of my must reads. I see this series on almost every BookTubers shelf and reviewed on nearly every book blog site. Just reading the summary (via goodreads- http://www.goodreads.com/book/show/10429045-shatter-me read it!) makes my hands ache to hold the book and read. This series has been compared to Divergent, The Hunger Games and The Maze Runner, which pretty much explains why I need to hurry and get on reading! I hope you enjoyed reading our first Tag Tuesday! If you’ve read any of these trilogies or have any recommendations please feel free to comment below. I tag anyone who wants to take part in this little tag… Just make sure you come back and leave a link below!